1. Select and schedule an appointment with a Collaboratively Trained Attorney. a. See the Denton County Collaborative Professionals’ website list of Collaborative Attorneys. b. Review the individual website of any professional in whom you have interest. 2. Meet with one or more Collaboratively Trained Attorneys. a. 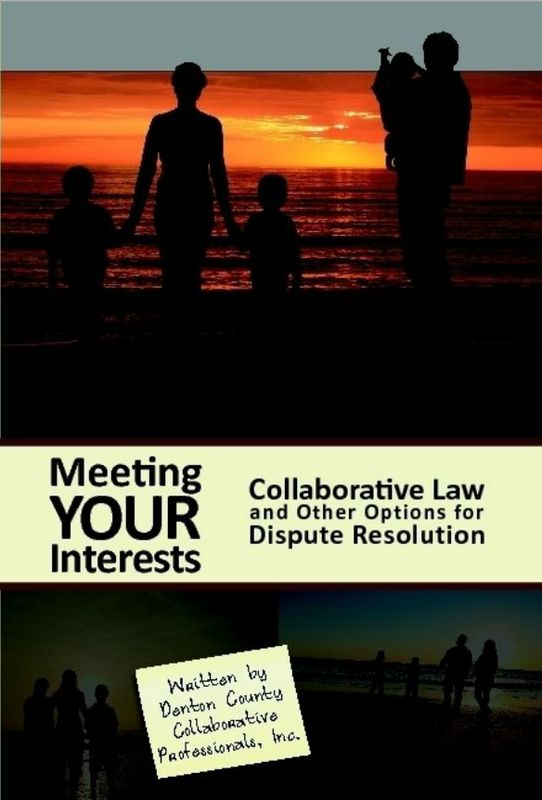 Meet with and interview the attorney/neutral professional; if they feel like a good fit for you and your case, then retain them; if they do not feel like they are a good fit, interview additional attorneys/neutral professionals. b. Ask the professional questions, such as how many and what collaborative trainings they have had and how many collaborative cases they have completed successfully. Ask them their philosophy of practicing family law, their background, and why they would be an appropriate for you and your case. c. Ask them if they are familiar with interest-based negotiation, if they have read “Getting to Yes” and the “Power of a Positive No,” and the story of the Orange. 3. In Texas, typically, the clients retain their collaborative attorneys and those attorneys engage the neutral professionals, so once the attorneys are retained, the client can turn the case and retention of additional team members over to the attorneys.